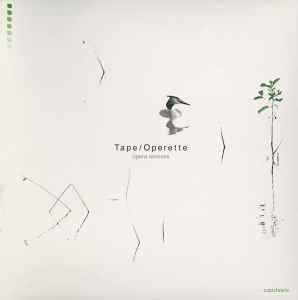 Original sound material taken from Tape's Opera album (Häpna H.9), c Tape 2002, c+p Häpna 2002. Track 1: Remix of Tape's "Radiolaria" / Recorded 7/03 at Studio 423, Brooklyn / c Gastr Virgo Music (BMI). Track 3: Reconstructed @ Midsommarkransen, Stockholm August 2003. Track 4: Reprocessed at Repeatle, September 2003. Track 5: Recorded in Sydney, 2003. Track 6: Published by Mego / Made on Twisted Harddisc Complex July 2003 in Benance, France. Track 8: All sounds sources were from the original track / recorded over a few days in the month of July, 2003. Track 9: Recorded October 2003 at Snail Article. Track 10: Produced between June and September 2003 / at studio Entschleunigung, Schafbrücke. Published by Freibank.